Rats can spread disease through their biting or human contact with their feces/droppings. The most common diseases transmitted to humans or animals by rats are: salmonellosis. rat bite fever. One of the worst things that rodents will do within a given household is spread disease. Rodents have very high metabolisms and they tend to process food quickly. This means that they produce a lot of waste. Their waste products all contain harmful digestive bacteria. People who are dealing with rodent infestations will often find feces all over their homes. When they’re lucky, they will at least spot all of these contaminants and they will manage to clear everything up before this is a problem. 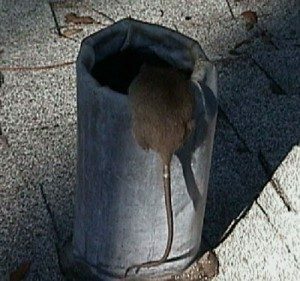 This is a good idea as a short-term solution for clearing up the scent from a rodent’s feces might be able to stop other rodents from being drawn to that location. However, in some cases, residents will not be as lucky. They might end up accidentally touching the feces and touching their mucus membranes, which can be enough to spread disease. Accidentally eating rodent feces is not impossible. Rodent urine is very difficult to trace, and people might unintentionally contact it if they live alongside rodents in their homes. Most rodents are not infected with diseases like rabies. However, it’s still possible. A mouse bite is still a medical emergency that needs to be investigated right away. Mice can spread genuinely dangerous diseases like the hantavirus as well. Rats and shrews, which can also infest homes, can be even more dangerous in a lot of cases. They are more aggressive than mice and they might be more inclined to bite people. Mice and rats like the chew on things, and they don’t know the difference between electrical wires and string. Chewing through an electrical wire can be excessively dangerous. Some mice have been known to cause fires after doing so. While this isn’t going to happen every time, the mice will still cause a great deal of household damage when they do occur. Mice and rats will also chew on furniture and cloth, causing a lot of holes and cracks that would never have formed otherwise. These abrasions can be unmistakable. People will have a hard time hiding them. These parasites can cause hundreds or thousands of dollars’ worth of damage just in this way. They can cause even more damage if they damage the structure of the house, which is not uncommon. As far as your automotive health is concerned, rodents “cause mostly wiring problems,” Montague says. “They chew on wires, and then the bare wires touch each other and short things out.” Finding the cause of wiring issues is already a pain for mechanics, and rodent problems only add to the difficulty.